Arras Basket Féminin has not run its official web site for almost two seasons. So it is always difficult to get official information from the club although they use Facebook and Twitter. Veuillez lire en bas de page en français sur le départ de Petit Thibaut. At the end of December the rumours started that Thibaut Petit would not return as head coach after the break for Christmas because of the bad position of the club in the Ligue Féminine de basketball. This proved to be wrong as he was around to welcome Belarus international guard Tatsiana Likhtarovich for the first training session after the Christmas break. The next story was that Petit would be dismissed in case of Arras' defeat in the first game of the 2013. When Arras were defeated by Basket Landes Petit confirmed his departure. 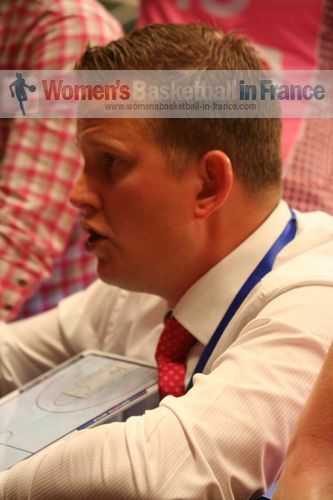 Thibaut Petit was removed as head coach of Arras Pays d'Artois Basket Féminin on 7 January 2013 by the management committee of the club. He has been replaced on an interim basis by Cécile Piccin. Petit's reaction of him having to leave Arras was simple and clear. He admits having made mistakes. Once the club and the coach totally disagree, you must accept and respect the decision of the club for a change. He added that he was more motivated than ever to continue as a coach somewhere else. Petit who joined Arras in June 2011 had a roller coaster ride with the club: In his first season (2011-2012) Arras did not qualify for the LFB play-offs, were eliminated in the quarter-final of the EuroCup Women but ended the season on a high with winning the French Cup. This season 2O12-13, the club have just won 3 official games and are ranked 13th in the LFB and bottom of their group in the EuroLeague Women. 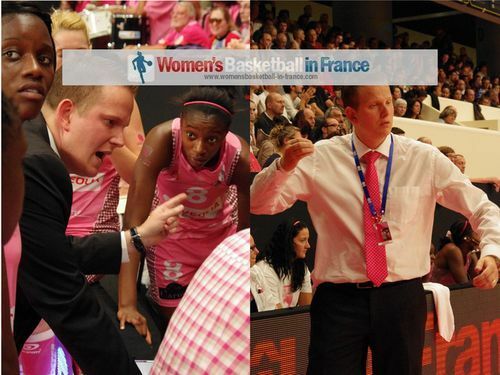 In our discussions (wbbif) with Petit, he was always polite and shared his visions for women's basketball and we at womensbasketball-in-france.com hope to see him soon back on the coaching bench. Le 7 janvier 2013, le comité du club Arras Pays d'Artois Basket Féminin Pays démissionne son entraîneur belge après la 12e défaite en LFB. Thibaut Petit accepte cet échec sportif et promet de rebondir. Petit confirme qu'il respecte la décision prise et admet que "Nous ne pouvions plus fonctionner ensemble", mais qu'"il n'y avait pas d'animosité entre nous." Après une saison et demie mouvementée avec la trophée Joë Jaunay en main à la fin de saison 2011-2012, le gagnant de la Coupe de France se voit projeter dans l'EuroLigue pour 2012-2013, une compétition qui laisse vaciller l'équipe remportant aucune victoire jusqu'à maintenant. La formation affaiblie par des blessures des joueuses majeures n'arrive pas à se redresser et perd avec Petit Thibaut un coach pétillant. Womensbasketball-in-france.com lui souhaite tout le bien pour son futur sportif et espère de le revoir bientôt dans sa fonction en tant qu'entraîneur.